Of the many islands that you can visit in the Caribbean, Curaçao has arguably one of the best mixes between astonishing nature, beautiful architecture and great entertainment. If you’ve been doing research about Curaçao for a while now, you’ve probably heard of the famous capital Willemstad, with its historical Punda and Otrobanda districts, and their breathtaking views. However, in this article, we want to dedicate our attention to one of the most important neighborhoods outside Curaçao’s capital; Saliña. Immerse with us in the birth and evolution of this neighborhood and let us give you all the ins and outs of its modern-day landscape so that when you travel to Curaçao, you have an additional special location on your list of places to visit. The neighborhood of Saliña is located at the east of Willemstad, and it is the center of Curaçao’s most modern urban area. The name “Saliña” is the Papiamento word (Curaçao’s local creole language) for salt pan. The trade in "white gold"
When Curaçao was discovered in the late 15th century, Saliña had a completely different landscape than what it has nowadays. it was an area full of water, with direct access to the sea. 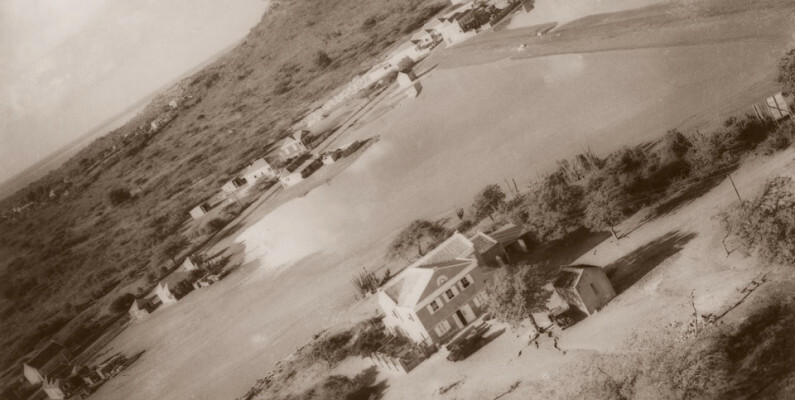 Saliña was one of the first neighborhoods that saw Curaçao’s plantations and salt production lift off the ground. In the beginning of the 17th century, Dutch colonists started the construction of several “landhuizen” or country mansions, with large sprawling plantations, and several smaller surrounding slave homes. Particularly in Saliña, the production of salt was of great importance to Dutch colonists and the mighty West India Company. Salt was considered to be the “white gold” for European colonists because, at the time, salt was the most used form of food preservation. Even though the population of the Netherlands was very small, the ships of the West India Company would export large quantities of salt to trade with other European countries such as England, Spain, and Portugal. The trade in salt was the main source of income in the area, and there were many different plantations. Even though there were several salt pans on the island, Saliña remained one of the most important ones in both size and centric location. With the passing of the years, Saliña grew into a modern urban center with many residential areas, retail stores, restaurants, and cafés. A large part of the surface has been covered to create roads and buildings, but if you visit Saliña and pay close attention, you will still be able to see many water bodies inland that remain as a memory of the salt production of the past. As most of Curaçao's history, Saliña is marked by colonization, slavery, trade, and rebirth into a colorful, and ever-growing area that maintains the hints of the past, and celebrates the diversity of the present. Another reminder of the time is our famous country mansion “Landhuis Chobolobo”. it was built in the late 16th century on about 10 hectares of land. Early details have been lost to history, but it is known that in 1796 the free mulatto Anna Mattheeuw became the owner of the mansion and the name “Sebollobo” was on it. The meaning of this word is “freedom” and it is of Indian origin. How this word later transformed into “Chobolobo” and what its exact meaning is, is still widely debated. In the early 1900s, Landhuis Chobolobo was owned by the Jesurun family of shipbuilders and finally, in 1946, the property was purchased by Senior & Co., the company behind the world-famous Genuine Blue Curaçao Liqueur. Nowadays the country mansion is one of the most exciting places to visit in Saliña, as you can visit the Curaçao Distillery, enjoy great bites and cocktails in its 19th-century courtyard, and take home a local memory from the gift shop. If you’d like to plan a visit to Landhuis Chobolobo, please visit this link.